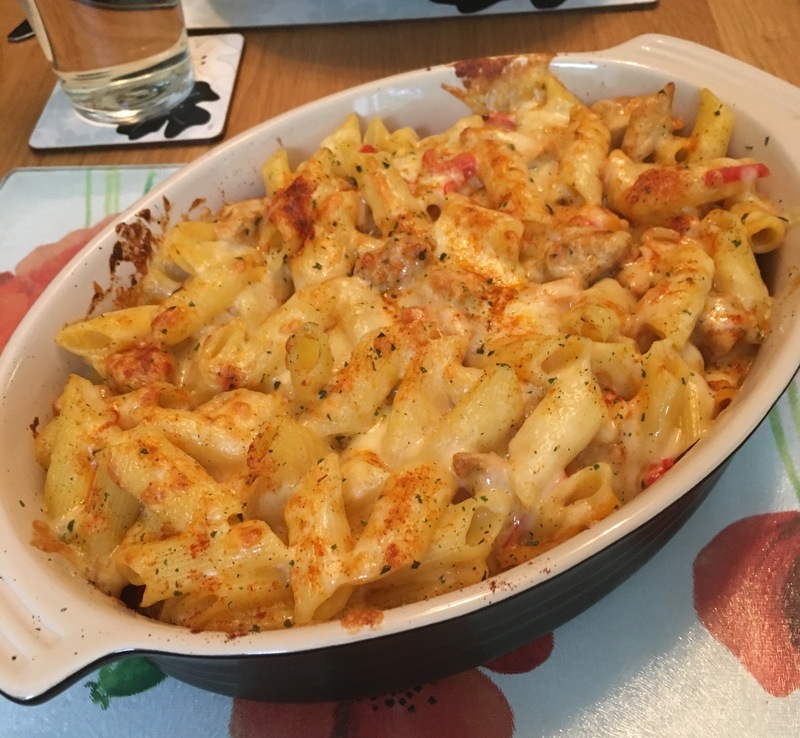 So I'll let you in on a secret, this Cajun Chicken Pasta Bake is the best pasta bake you will ever make/eat in your entire life (ok, slight exaggeration because everyone obvs has their own opinion, but I love it and I always feel super proud that I've made it). The recipe is from Chef Savvy and I am sooo glad that I stumbled upon it - it's a great recipe and the end result is delicious! Cook pasta per package instructions. Typically takes about 8 minutes for al-dente. Meanwhile cut up the chicken breast into small pieces and drizzle with 1 teaspoon olive oil. This will help our blackening seasoning to adhere to the chicken. Rub the chicken with the blackening seasoning on both sides. In a frying pan over medium-high heat add ½ tablespoon olive oil and cook chicken breast for about 10 minutes until fully cooked. Toss cooked pasta with alfredo sauce (recipe follows), and the blackened chicken. Add salt, chili powder, and paprika. Place in single serve ramekins or a casserole dish and top with cheddar cheese. Place pasta mixture in a 400 degree oven for 5 minutes or until cheese has melted. Garnish pasta with parsley. Sprinkle with extra paprika for garnish. Heat the butter in a small saucepan until melted. Add the flour and whisk together over a medium-high heat. Stir continuously. Allow to cook for about 2 minutes. Add in the milk and bring to a simmer, stir continuously so the milk does not bubble out over the pan. Cook for about 2-3 minutes and add in both cheeses. Stir to melt the cheese.Take off the heat and reserve until you are ready to toss with your cooked pasta. Let me know if any of you make this recipe and love it just as much as I do!